We hear God in our spirit; God speaks from His Spirit to our spirit. I think that’s why we should stop trying to work so hard to hear God. You heard me right, I said stop striving to hear God, stop trying to earn the right to hear Him! 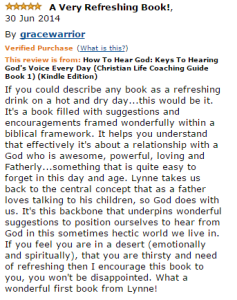 Hearing God is a gift. Instead of trying hard to hear God, simply make yourself available to Him. Spend time with Him, get to know Him, become more familiar with His voice. Spend time in His word, spend time waiting and listening, spend time in conversation with God. 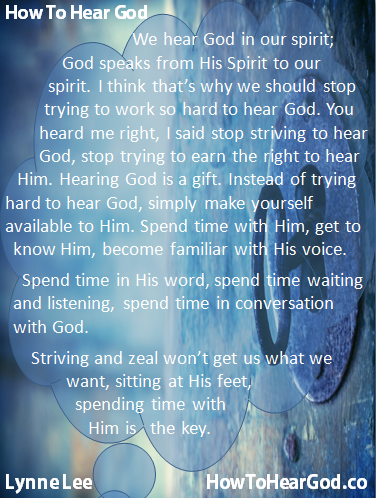 Striving and zeal won’t get us what we want, sitting at His feet, spending time with Him is the key.